Hyderabad, 4th July 2017: The 34th Youth National Championship for Boys and Girls entered Day 4 today at the Indoor Stadium, Gachibowli in Hyderabad. Tamil Nadu girls (3-0) stayed unbeaten by outclassing Madhya Pradesh (2-1) today. Both teams are assured of quarterfinal berths, but Tamil Nadu will look to win its final league match tomorrow against Maharashtra and end the league stages at the top of Group A. From the lower Level, West Bengal and Haryana have progressed to the upper Level 1, and simultaneously securing a spot in the pre-quarterfinals. West Bengal managed to keep a fighting Delhi side at bay, winning 61-58, while Haryana had it fairly easy against Odisha with a 53-41 victory. Karnataka and Maharashtra girls too posted wins over Gujarat and Rajasthan respectively. The 4-0 Karnataka has finished as the top side in Group B and will take on the to-be-announced 4th placed team from Group A in the quarterfinals. In the boys’ section, Kerala (3-0) beat Karnataka (2-1) in impressive fashion. The two sides were coming into this game undefeated and guaranteed of knockout berths. 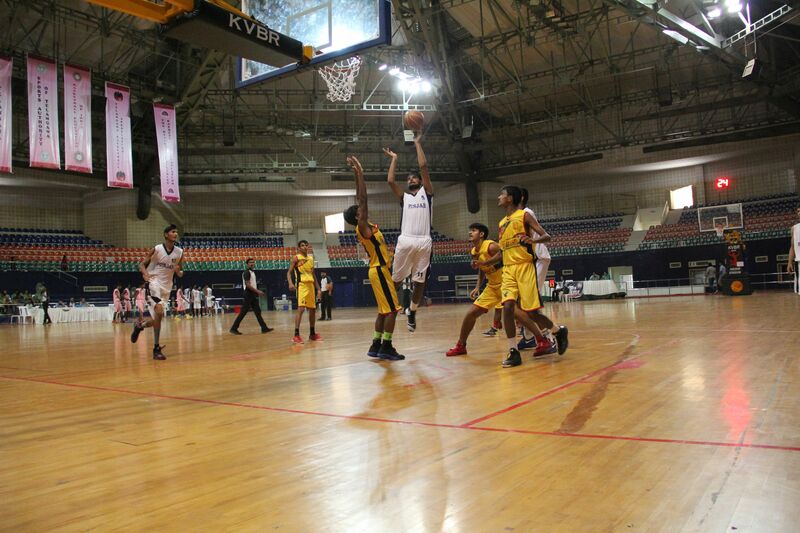 But it was defending champs Kerala who showed their class with a 75-45 drubbing of their southern neighbours. Kerala will face Rajasthan tomorrow while Karnataka takes on Delhi. Later in the evening, in an overtly physical encounter, Punjab boys beat Maharashtra 75-58 to go 2-1 with 1 league match remaining. 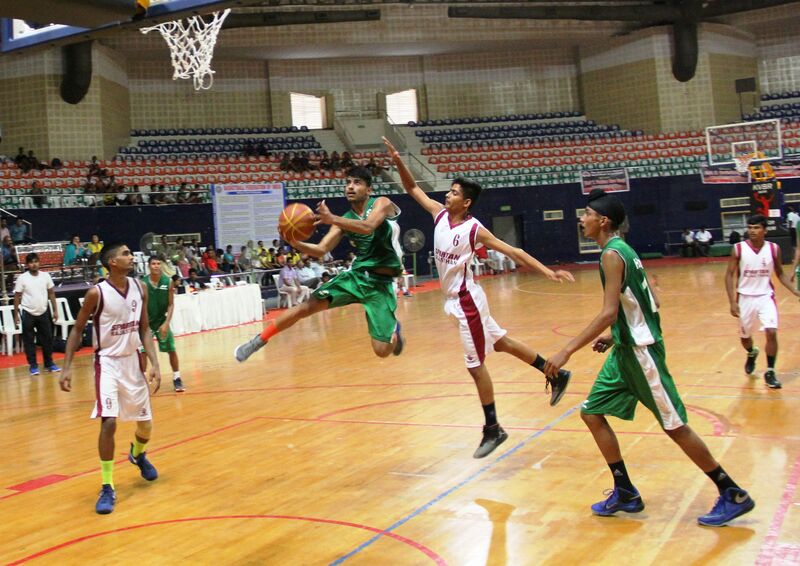 Meanwhile Haryana boys (2-2) drubbed Rajasthan (1-2) by 21 points to book their spot in the quarterfinals. In Group B action, Uttar Pradesh continued to impress by beating Tamil Nadu and maintaining their perfect 3-0 record.